With eyes on a big night of racing Friday night, heavy rain moved in during the day and forced officials to cancel the USMTS Hunt for the Casey’s Cup event at the Mississippi Thunder Speedway in Fountain City, Wis.
Action now moves to Saturday where it's gonna be another colossal clash at the high-banked Deer Creek Speedway in Spring Valley, Minn., for the 16th Annual A&A Electric Southern Minnesota Spring Challenge. Defending USMTS national champ Jason Hughes has a series-best 14 career victories at ‘The Creek.’ Kelly Shryock won the first-ever USMTS feature here on May 25, 2002, and is second on the all-time wins list with 10 while Rodney Sanders has collected eight checkered flags and Ryan Gustin has seven, including three of the last four during four nights last September. Tim Donlinger and Terry Phillips have five wins each. Ryan Gustin, Jason Cummins and Brad Waits have four apiece. Cade Dillard, Zack VanderBeek, Joey Jensen and Brandon Davis have each won three times. Two-time winners include Corey Dripps, Jason Krohn, Ryan Ruter, Stormy Scott and Lucas Schott. Drivers who have visited Deer Creek Speedway’s victory lane one time include Mark Noble, Steve Wetzstein, Darin Walker, Tony Fraise, Dan Daniels, Chad Kinder, Mark Burgtorf, Brad McEwan, Randy Timms, Dean Mahlstedt, Tommy Myer, Mike Sorensen, Mike Spaulding, Dan Chapman, Les Duellman, Mike Hejna, Steve Arpin, Jon Tesch, Jordan Grabouski, Jeremy Payne, Craig Thatcher and Tommy Weder Jr. The pit gate opens at 2 p.m. and grandstands open at 2:30. Slingshots race at 3 on Button Buck Speedway. Hot laps begin at 5:30 and racing starts at 6 p.m. The USMTS Modifieds will share the spotlight with the Iron Man Challenge featuring Holley USRA Stock Cars and Out-Pace USRA B-Mods plus Wissota Midwest Mods. Adult general admission tickets are $20 and kids ages 12 and under get in for $5. Race fans can pick up coupons good for $2 off adult admission at Casey’s General Stores locations in Austin, Blooming Prairie, Dodge Center, Hayfield, Mantorville, Oronoco, Preston, Rochester, Spring Valley and Stewartville plus stores in Cresco, Lime Springs, Osage, Riceville and St. Ansgar, Iowa. To find the location nearest you, visit www.caseys.com. On Sunday, the 11th Annual Nordic Nationals presented by Weis Buick GMC takes place at the Upper Iowa Speedway in Decorah, Iowa, and will see the Iron Man Challenge featuring Holley USRA Stock Cars and Out-Pace USRA B-Mods plus USRA Hobby Stocks on the card. Zack VanderBeek collected his first of three wins at the Upper Iowa Speedway during his rookie campaign in 2005. Jason Hughes, Jon Tesch, Al Hejna and Ryan Gustin are two-time winners here, and Johnny Scott has made one appearance in the Winneshiek County Fairgrounds winners circle. The pit gate opens at 3 p.m., grandstands open at 4, hot laps start at 5:45 and the first heat race hits the track at 6. General admission is $20, juniors (ages 11-16) are $10 and kids ages 10 and under are free. Pit passes are $35. Race fans can pick up coupons good for $2 off adult admission at Casey’s General Stores locations in Clermont, Decorah, Ossian, Postville, Waukon and West Union. To find the location nearest you, visit www.caseys.com. The Upper Iowa Speedway is a semi-banked 1/4-mile dirt oval located 1.8 miles east of US 52 on SR 9, then 1.0 mile northwest on Montgomery St., then northeast on E. Main St. at the Winneshiek County Fairgrounds in Decorah, Iowa (900 E Main St, Decorah, IA 52101). 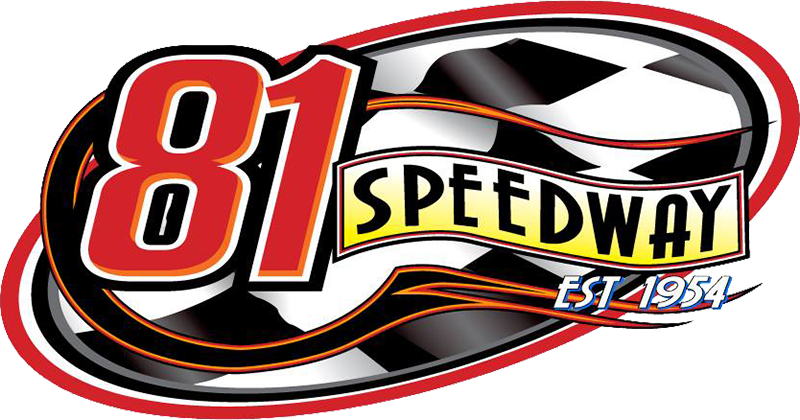 For more information, call (563) 382-0711 or visit www.upperiowaspeedway.com online.